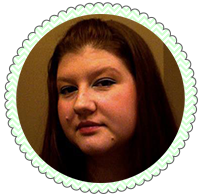 I showed you all the beautiful Who Tells Your Story Collection from Pretty Jelly that I got for my birthday in December. 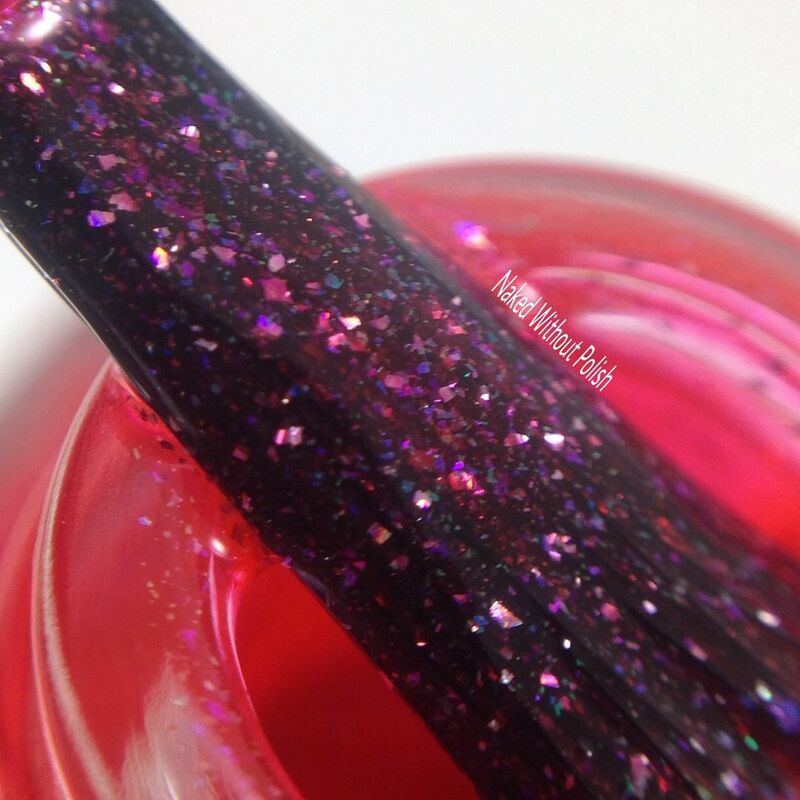 Well, next week, Pretty Jelly is releasing her Deep Sea Jelly Collection. 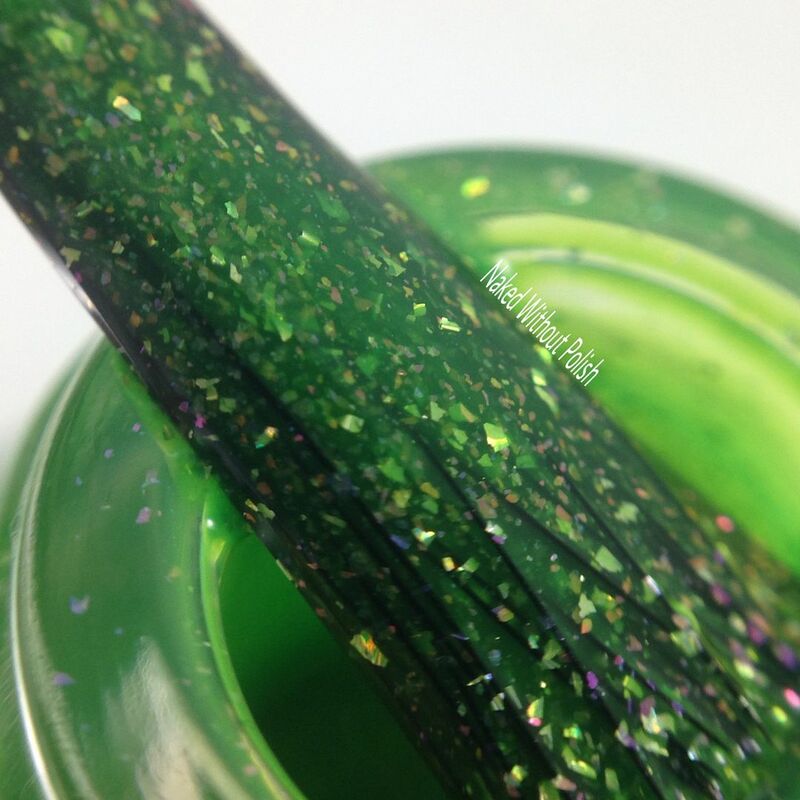 This is a set of 8 squishy jellies filled with holo flakes. 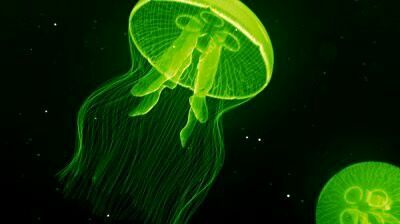 Each one is inspired by a different jellyfish. I mean...it all makes so much sense. The word "jelly" is in the name of her brand. 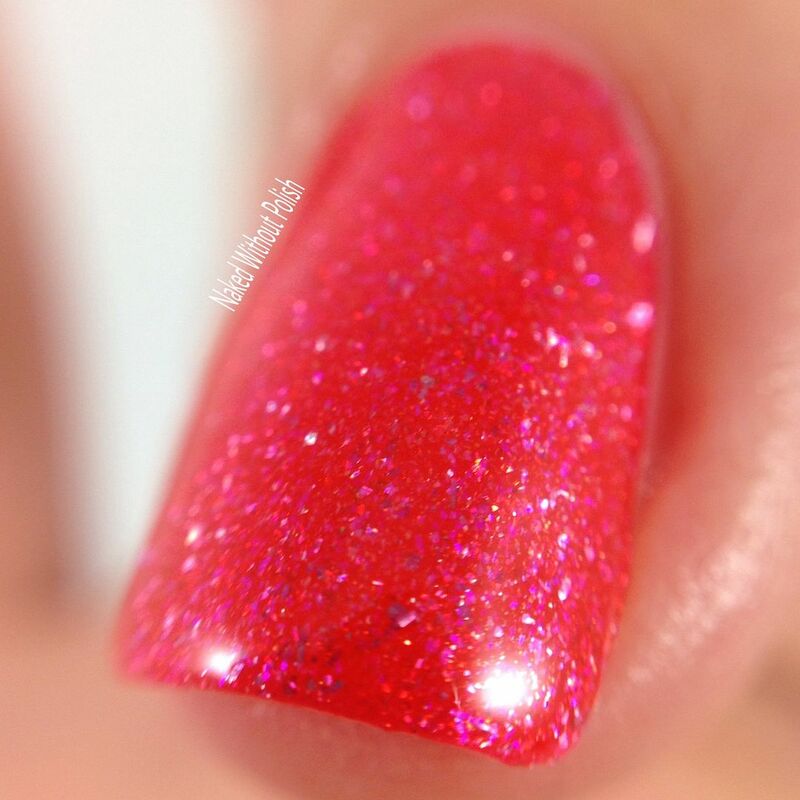 They are jelly polishes. 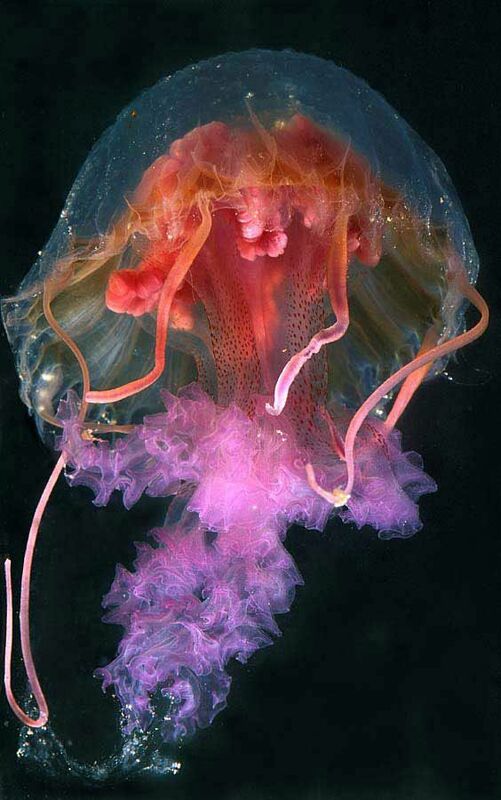 Why not jellyfish? Go ahead...keep reading...you know you can't wait to see these! 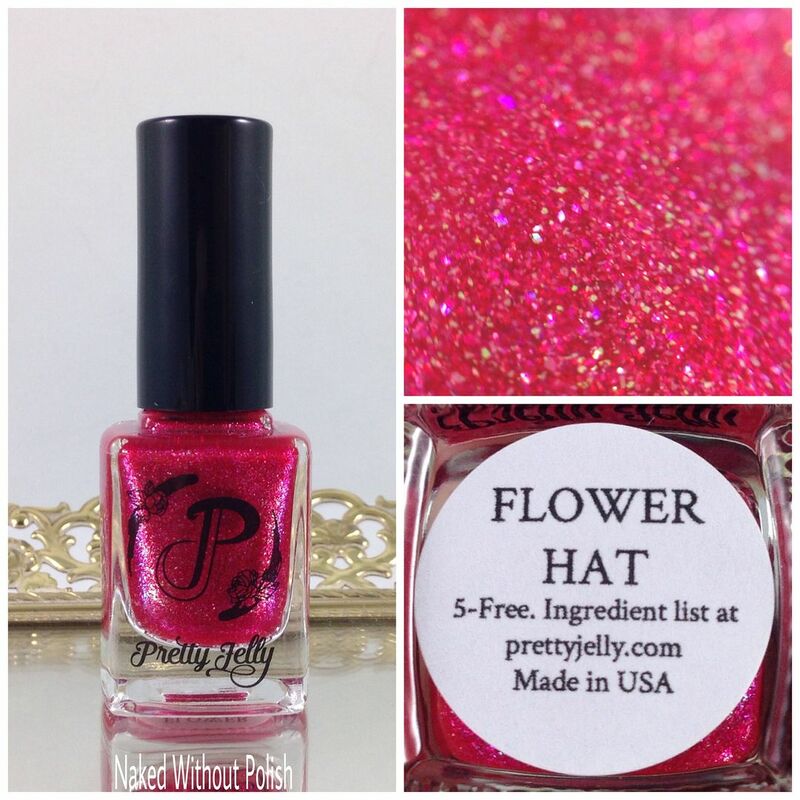 Flower Hat is described as "a raspberry pink jelly with shimmer, and holo flakes". 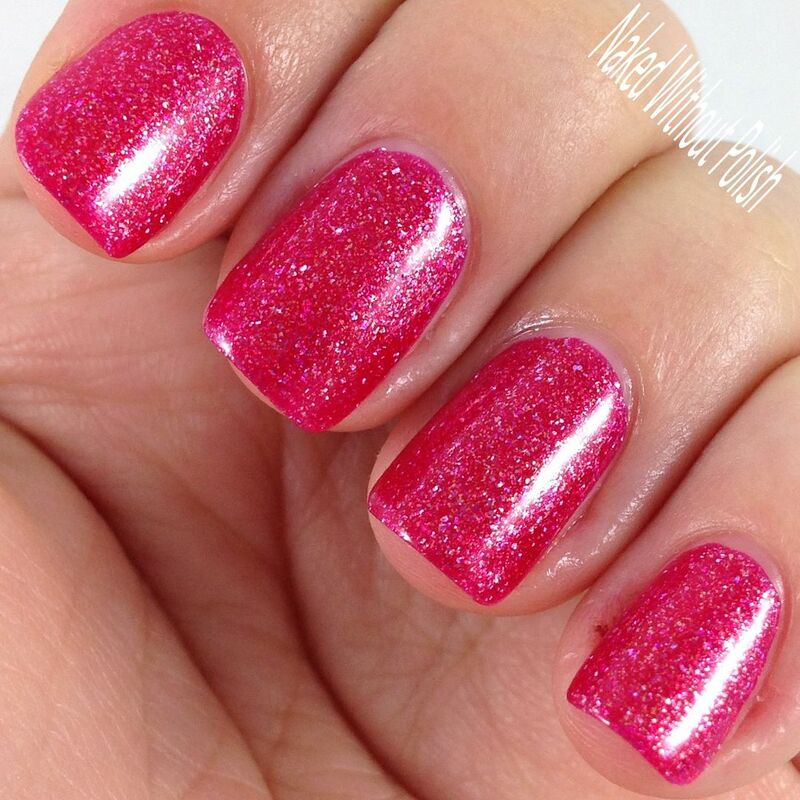 Shown is two coats of Flower Hat with top coat. 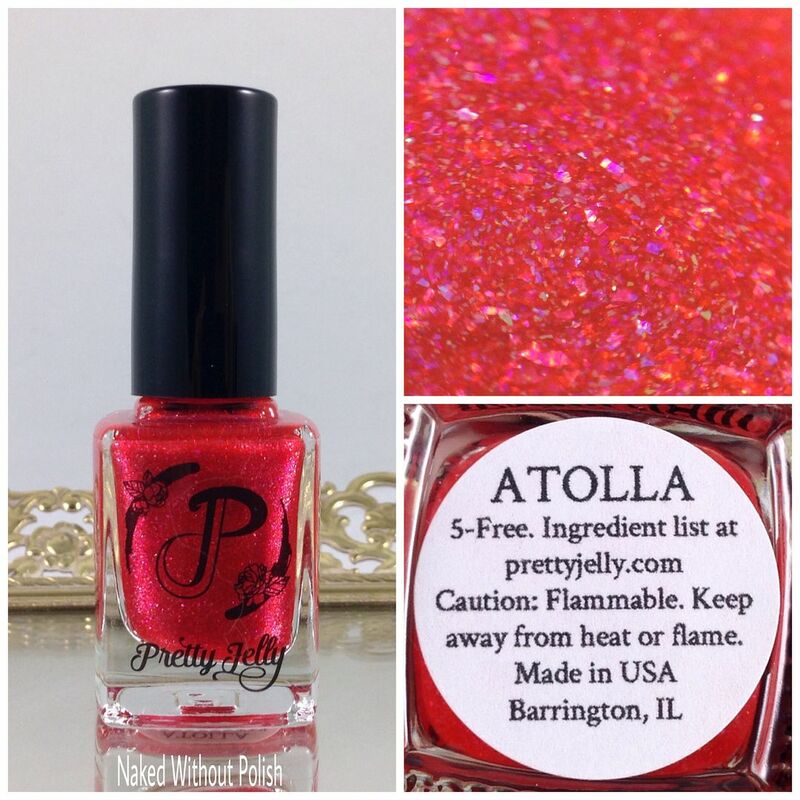 Atolla is described as "a red jelly with shimmer, and holo flakes". 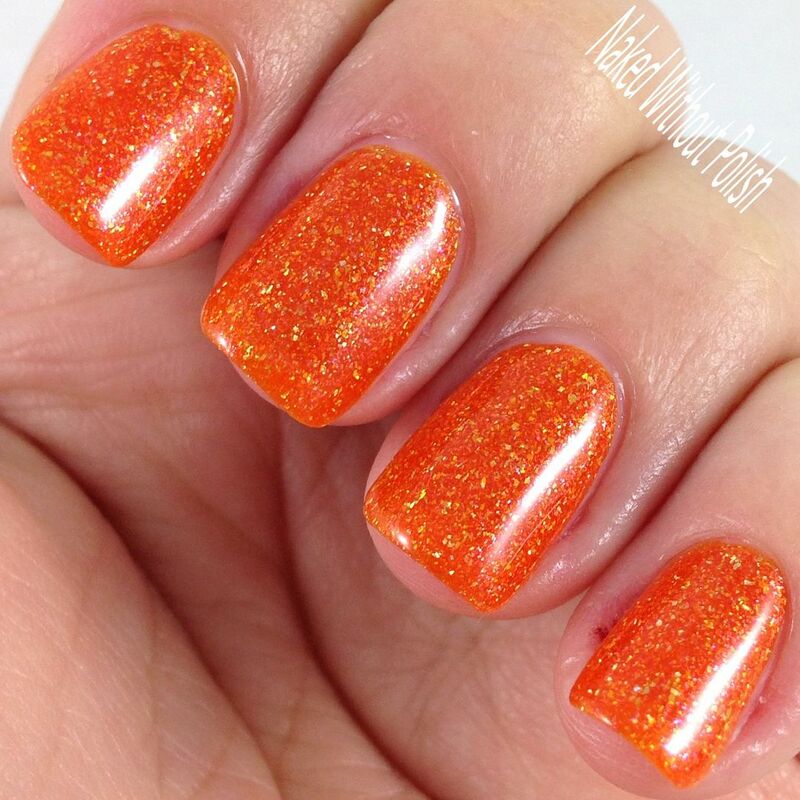 Shown is two coats of Atolla with top coat. 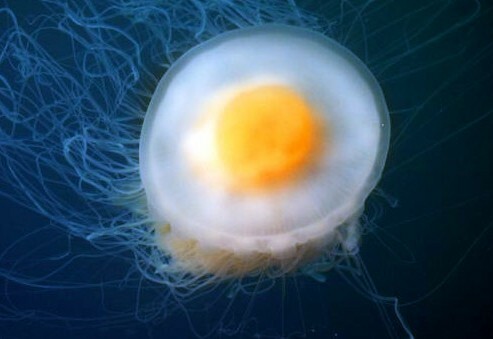 Fried Egg is described as "an orange jelly with shimmer, and holo flakes". 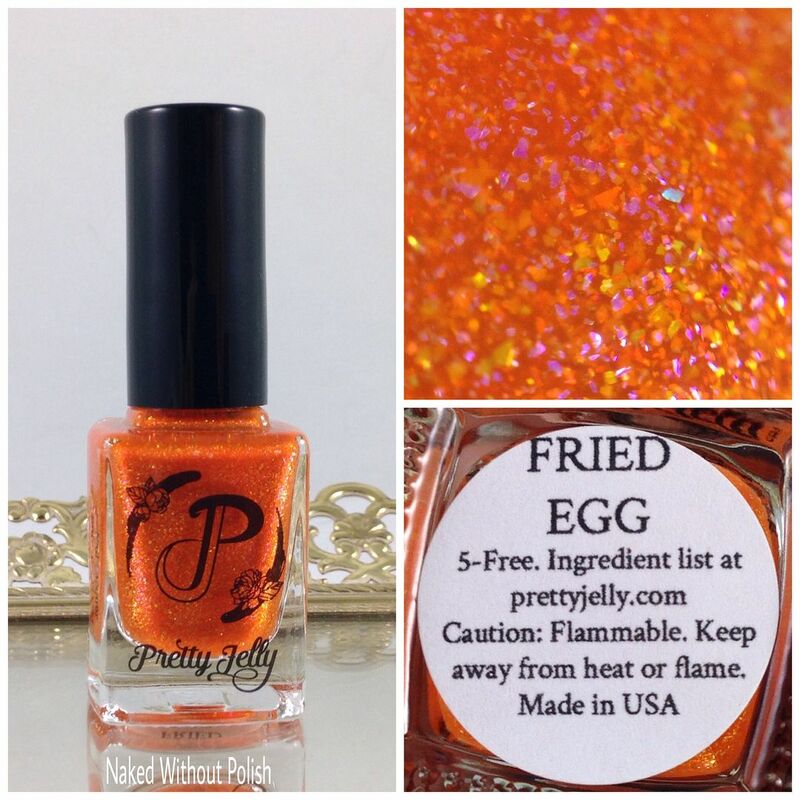 Shown is two coats of Fried Egg with top coat. 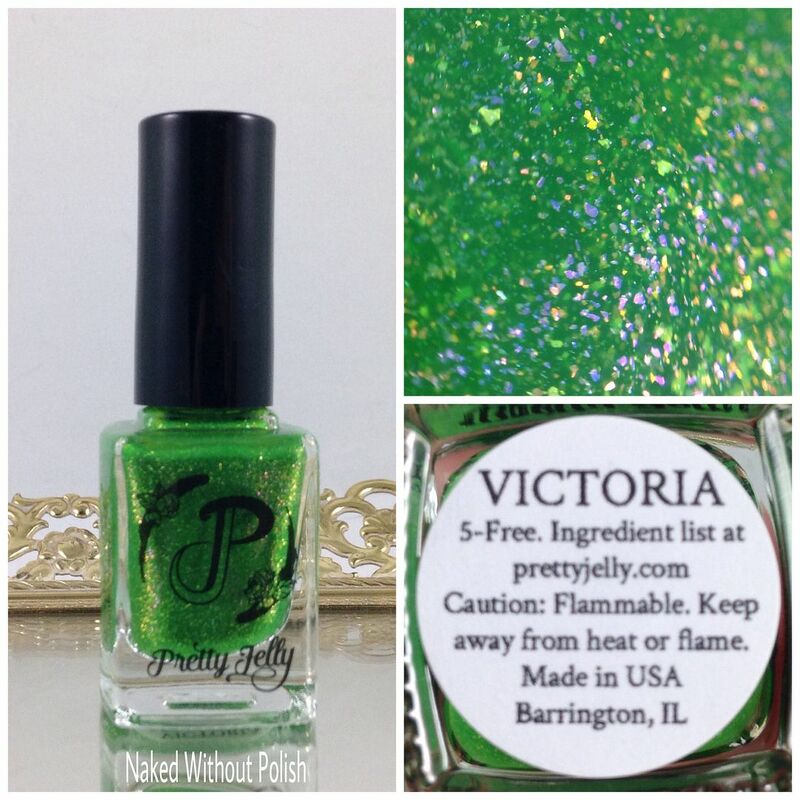 Victoria is described as "a green jelly with shimmer, and holo flakes". 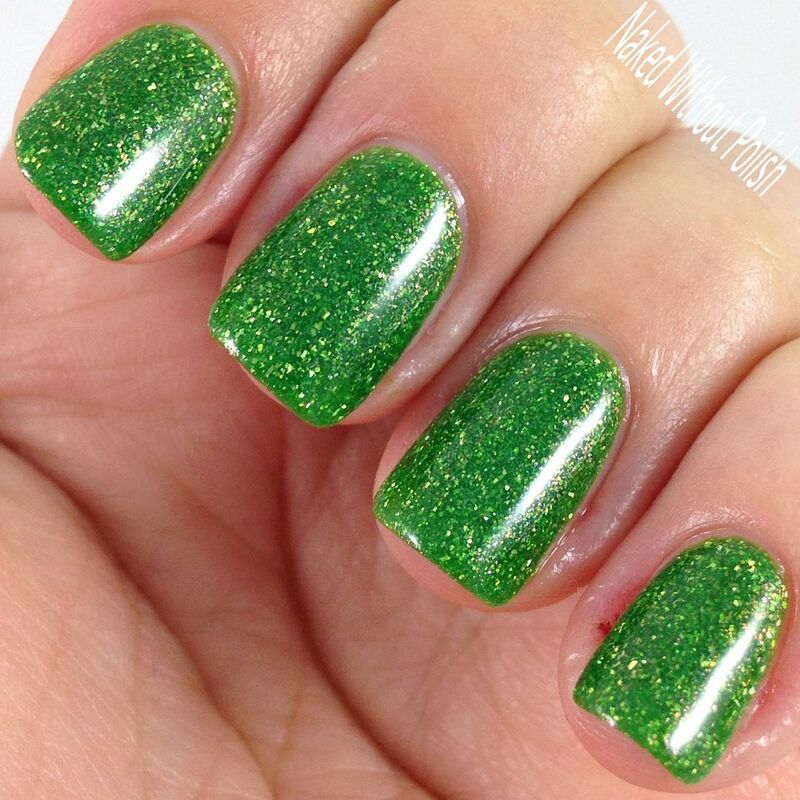 Shown is two coats of Victoria with top coat. 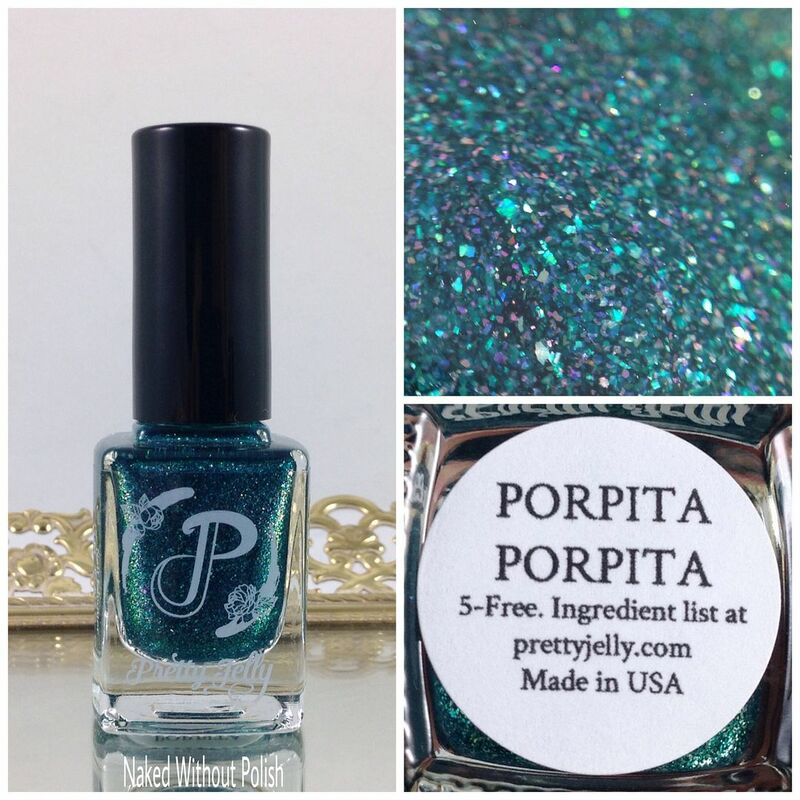 Porpita Porpita is described as "a teal jelly with shimmer, and holo flakes". Shown is two coats of Porpita Porpita with top coat. 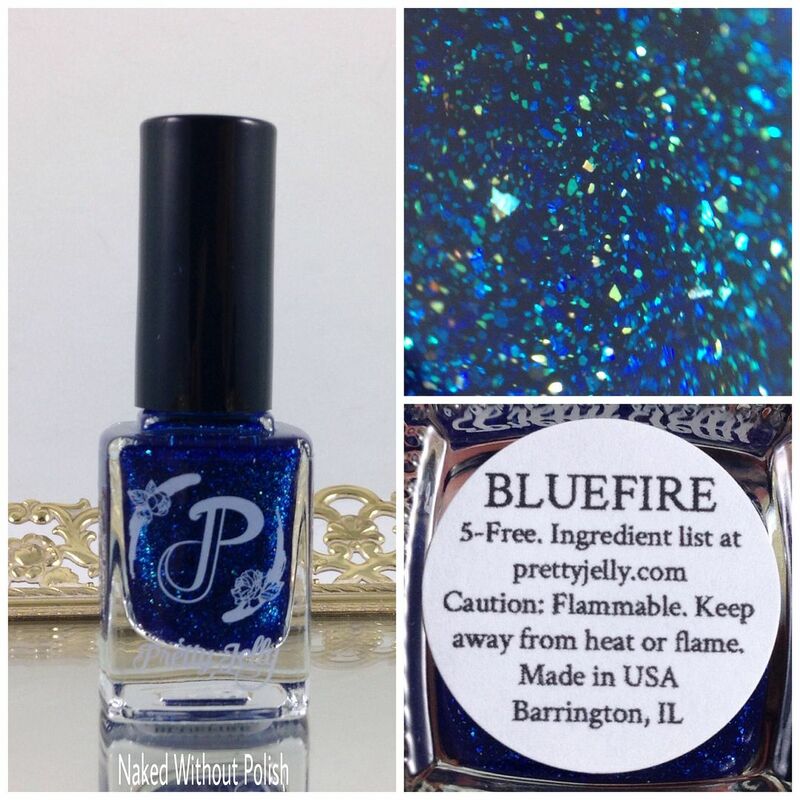 Bluefire is described as "a blue jelly with shimmer, and holo flakes". 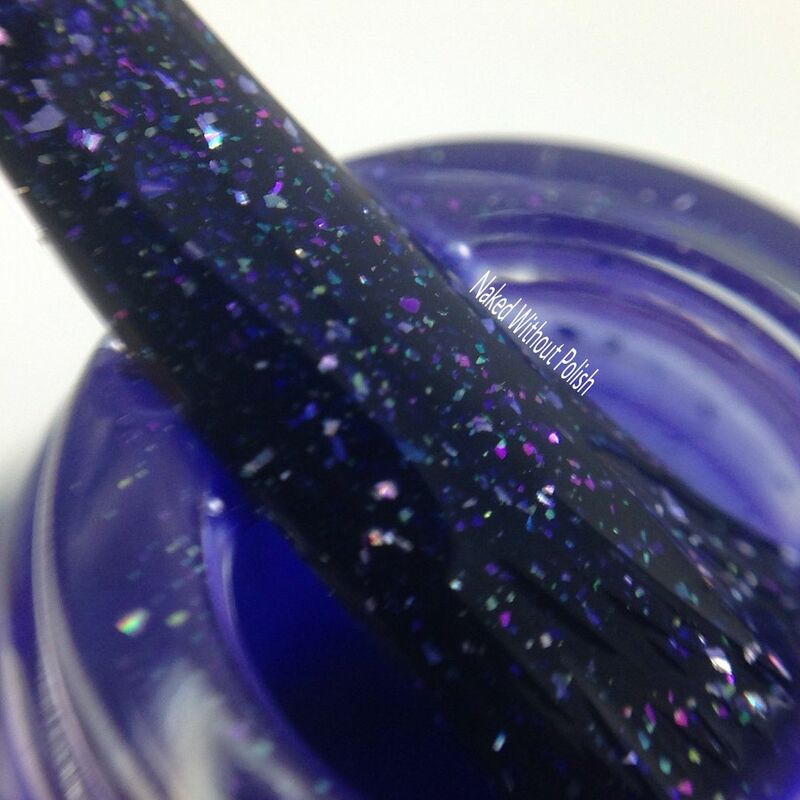 Shown is two coats of Bluefire with top coat. 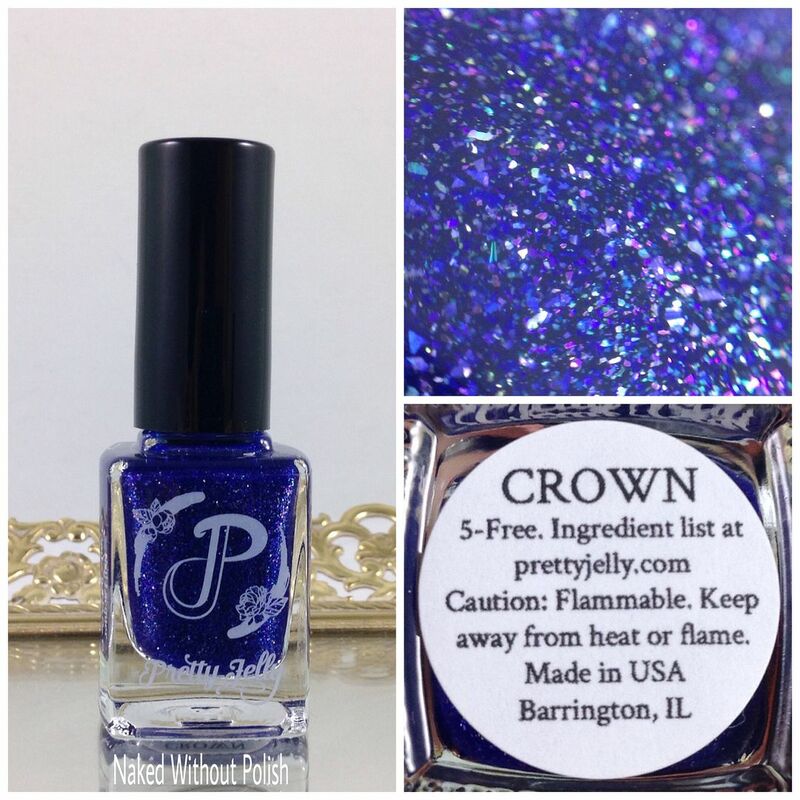 Crown is described as "a blue-purple jelly with shimmer, and holo flakes". 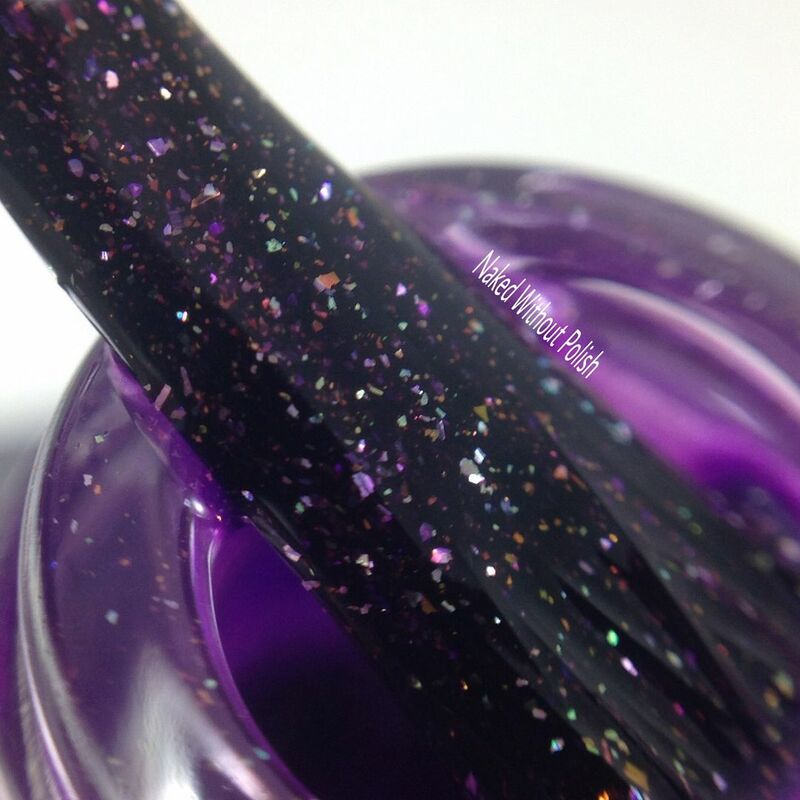 Shown is two coats of Crown with top coat. 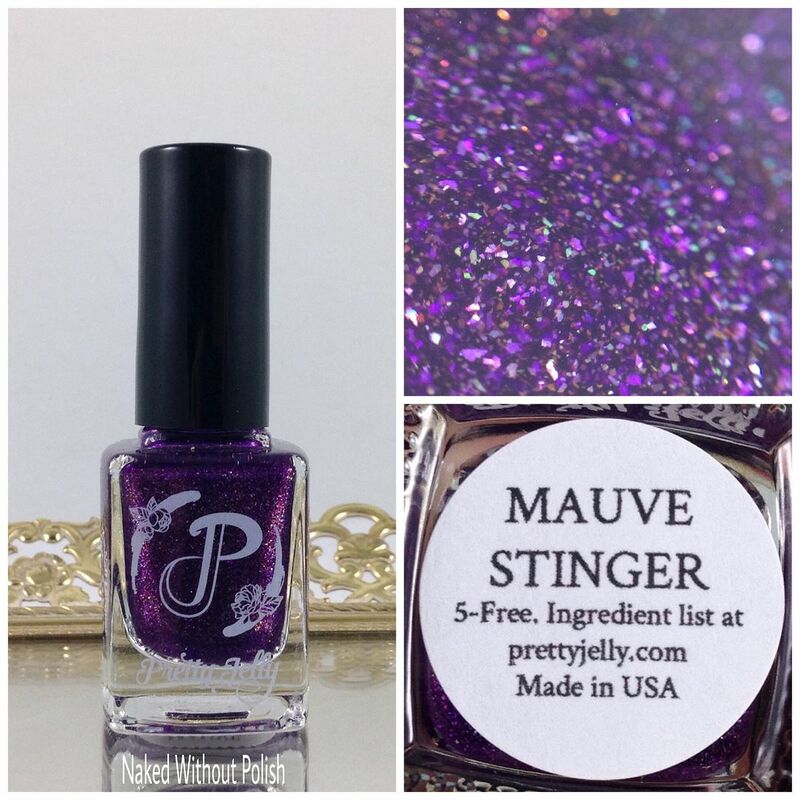 Mauve Stinger is described as "a red-toned purple jelly with shimmer, and holo flakes". 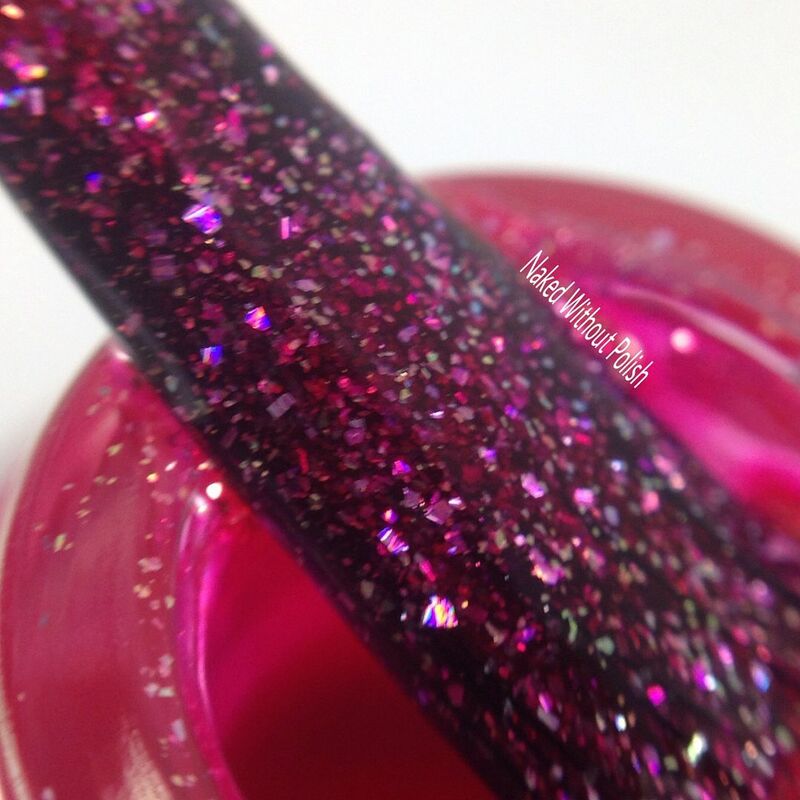 Shown is two coats of Mauve Stinger with top coat. 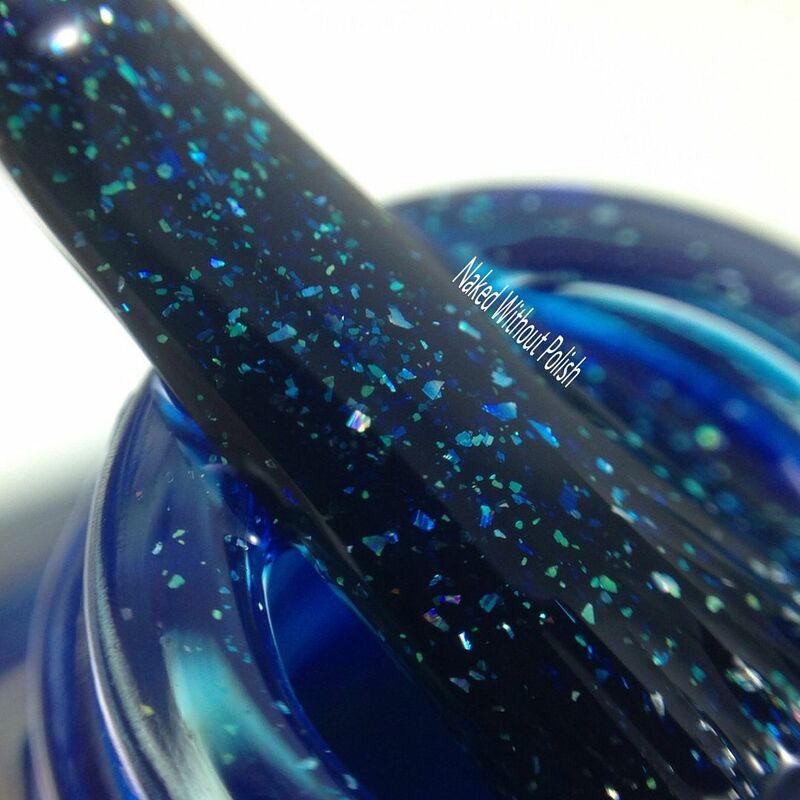 Isn't the Deep Sea Jelly Collection a beautiful rainbow of squishiness?! Each one had a flawless application. Only two coats for each to reach full opacity. 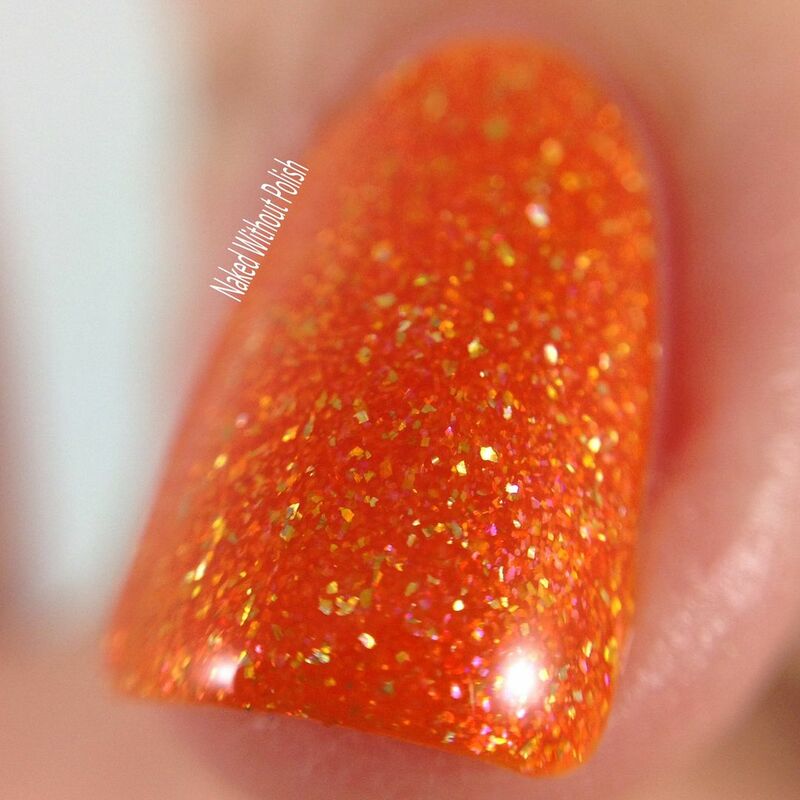 If you wanted a bit more depth, go ahead and add a third coat. Thin coats are fine, so the dry time is practically non existent. A third coat won't be a pain. 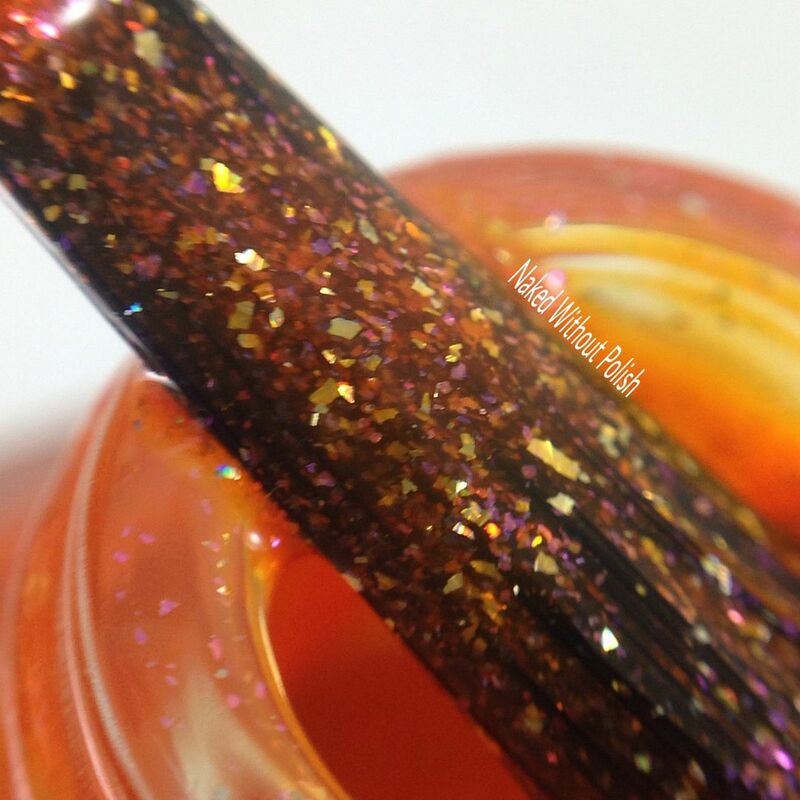 I have a feeling these would make some fantastic gradients. 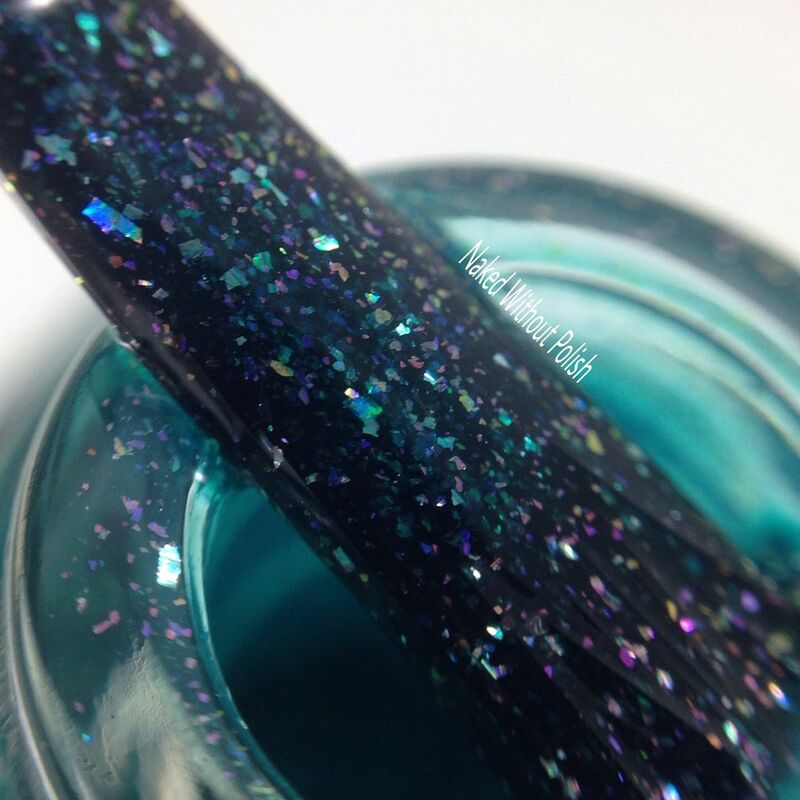 The Deep Sea Jelly Collection will be available to purchase on Wednesday, May 31st at https://prettyjelly.com. 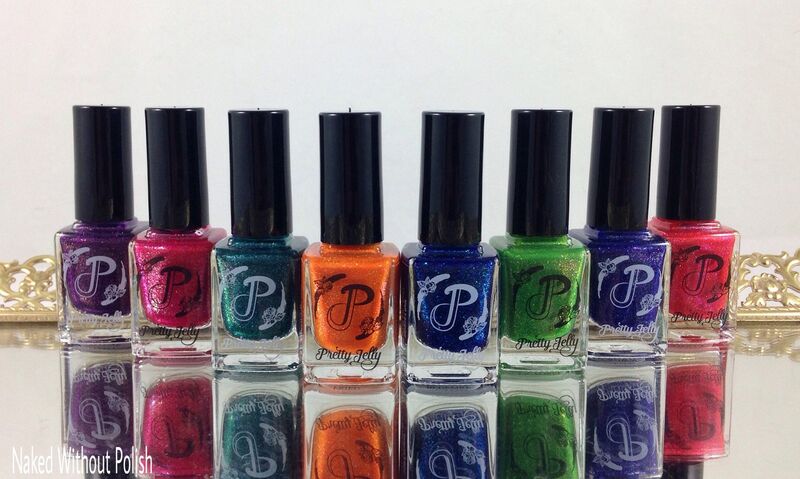 Each polish will be available in 6.5 mL bottles for $5.50 and in 12 mL bottles for $10. You can also grab the full collection in 6.5 mL bottles for $44 and in 12 mL bottles for $80. 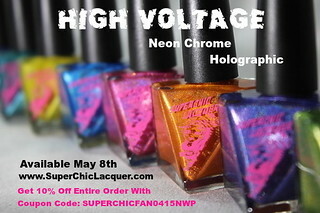 From May 31st through June 7th, you will be able to purchase the full collection at a 20% discount. 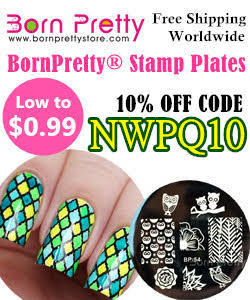 These are great on their own, in some nail art (seriously...someone try a pond mani with these!! 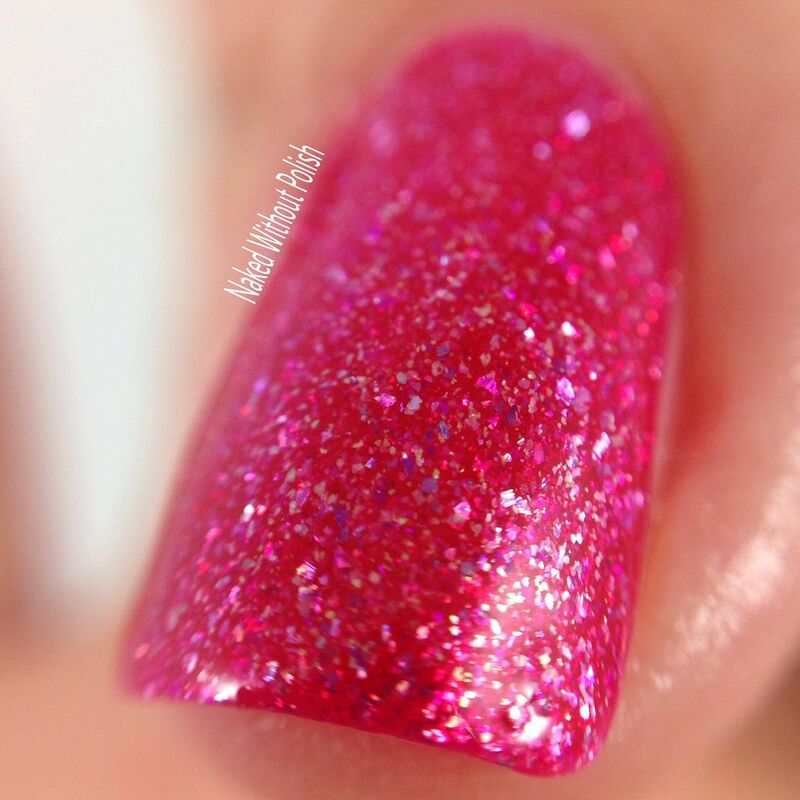 ), or as the base for some nail art. You'll want the full collection for sure! Make sure you are following Pretty Jelly on all of her social media platforms (links below) to stay updated on news, releases, and sales. I'm really loving this brand. I can't believe I haven't tried them before these collections. 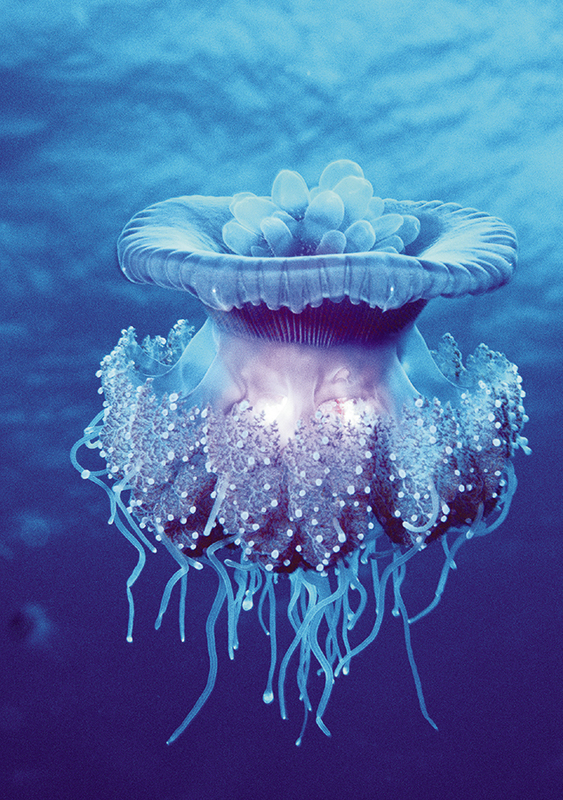 Have you tried Pretty Jelly before? What are your thoughts on this collection? Which ones are jumping out to you? You can't really go wrong with any of them!